Tracy Lewis’ research focuses on how economic activity and individual behavior can be made more efficient and directed to increase social welfare. “I am principally interested in designing incentive systems inducing economic agents to act efficiently, given the information and resources at their disposal,” says Lewis. “I do theoretical research on incentive regulation, contracting, and industrial organization. In the areas of energy and environmental policy, Lewis has applied results on incentive regulation and the design of optimal auctions to study policies for energy conservation and pollution abatement. 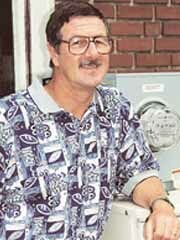 In recent years he has helped design programs to encourage electric utilities to reduce energy consumption. Because of his work on a theory of optimal auctions, the World Bank and the Spanish government recently sought his advice on establishing markets for trading pollution certificates to reduce greenhouse gases. Regulation of electricity and telecommunication utilities is another area of interest for Lewis. He founded the Program on Workable Energy Regulation at the University of California and is associate director of the Public Utility Research Center at the University of Florida. His research on alternative forms of incentive regulation has been used by regulatory agencies in California, New York and Florida to design innovative regulatory programs for investor-owned utilities. A third area of interest for Lewis is antitrust policy and enforcement. His research in industrial organization relates economic performance and social welfare to the structure of markets. He has advised the Department of Justice and the Federal Trade Commission (FTC) in their analysis of the competitive effects of numerous proposed mergers and acquisitions. As an economic adviser to the FTC, he helped to write antitrust guidelines for the protection of intellectual property.